Wesley K. Polischuk is an attorney at Robinson Calcagnie‚ Inc. where he represents plaintiffs in product liability, pharmaceutical, medical device and personal injury cases, in addition to class action litigation involving fraud, misrepresentation, consumer and data privacy and other consumer protection. Specifically, Mr. Polischuk represents plaintiffs involving the following pharmaceuticals and medical devices: YAZ/Yasmin/Ocella (In re Yasmin and YAZ (Drospirenone) Mktg., Sales Pracs. & Prods. Liab. Litig., MDL No. 2100, United States District Court, Southern District of Illinois), DePuy ASR hip implants (In re DePuy Orthopaedics, Inc., ASR Hip Implant Prods. Liab. Litig., MDL. No. 2197, United States District Court, Northern District of Ohio), DePuy Pinnacle hip implants (In re DePuy Orthopaedics, Inc., Pinnacle Hip Implant Prods. Liab. Litig., MDL No. 2244, United States District Court, Northern District of Texas), Stryker Rejuvenate hip implants (In re Stryker Rejuvenate and ABG II Hip Implant Prods. Liab. Litig., MDL No. 2441, United States District Court, District of Minnesota), Xarelto (In re Xarelto (Rivaroxaban) Prods. Liab. Litig., MDL No. 2592, United States District Court, Eastern District of Louisiana), Risperdal (Risperdal and Invega Product Liability Cases, JCCP No. 4775, Los Angeles County Superior Court), Testosterone (In re Testosterone Replacement Therapy Prods. Liab. Litig., MDL No. 2545, United States District Court, Northern District of Illinois), Wright hip implant (Wright Hip System Cases, JCCP No. 4710, Los Angeles County Superior Court) and Biomet hip implant (In re Biomet M2a Magnum Hip Implant Prods. Liab. Litig., MDL No. 2391, United States District Court, Northern District of Indiana). Mr. Polischuk also handles cases involving harm resulting from the wrongful disclosure of personal, health and other protected information. Along with Robinson Calcagnie, Inc. Partner Daniel S. Robinson, he successfully represented tens of thousands of consumers in St. Joseph Health System Medical Information Cases, JCCP No. 4716, which resulted in a $39.5 million settlement on behalf of consumers just prior to the start of trial. Mr. Polischuk was also involved in Blue Cross of California Website Security Cases‚ which resulted in a settlement providing millions of dollars in benefits for over 640‚000 WellPoint customers whose information and health records were disclosed on the Internet. Mr. Polischuk was named a Super Lawyers Rising Star by Super Lawyers Magazine from 2013 to 2016. 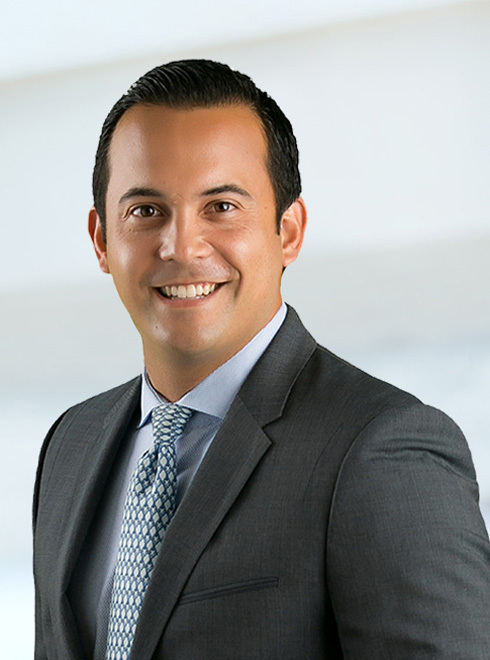 He is an Associate Board Member of the Orange County Bar Foundation, which provides integrated prevention and intervention services to at-risk youth in Orange County that address barriers to education, health, youth crime, teen pregnancy, and substance abuse. He is a member of the American Association for Justice, Consumer Attorneys of California and the Orange County Trial Lawyers Association.